Much like the sock sagas of days gone by, I am not having an easy time coming up with a basic hat for my brother’s birthday. His request was simple. He sent me a photo of a hat he wanted, and we brainstormed. The original was wool, but he is a fishing boat captain, so I knew this hat would get damp and need to be washed frequently. We picked Cotton-Ease to make it machine washable, and I suggested gray, black and blue. 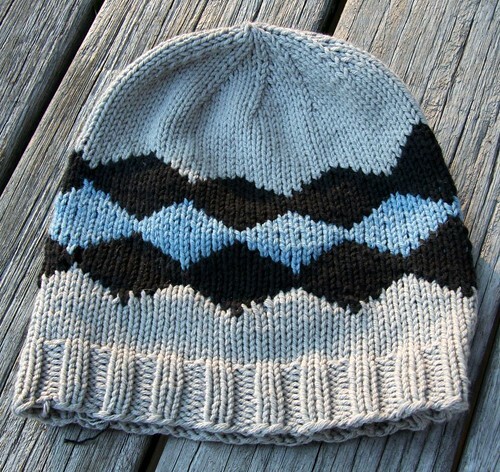 I found a simple hat pattern online and thought I could whip it out in a few days for his birthday on November 3rd. The first hat did indeed zip along (you must see where we’re going with the “first” thing, right?). 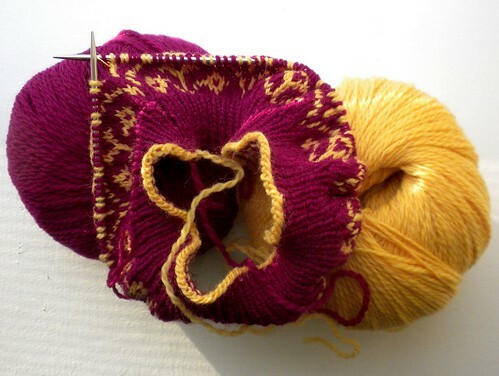 I figured out how to strand my knitting to make a diamond pattern that I thought was pretty spiffy. 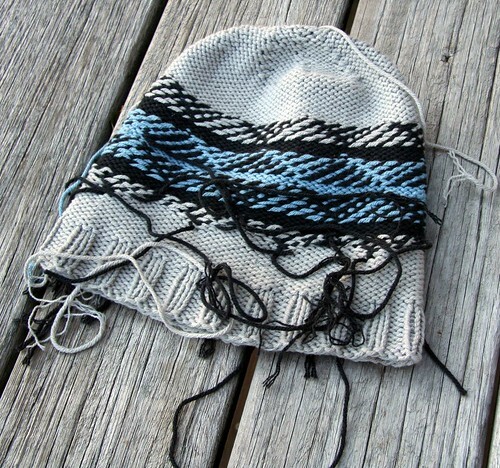 The trouble was, the band of stranded stitches made this hat tight. 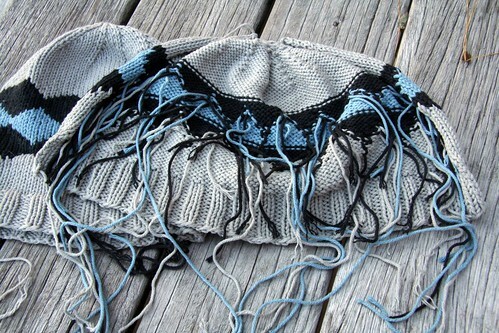 Before blocking, it fit snugly on my head, and my brother has a much bigger head, with thick curly hair to boot. I tried to maintain hope, soaking it and stretching it like crazy while it was wet, then periodically throughout blocking. Because there were so very many ends, I decided I’d have my brother try it on before I finished it completely, and as I feared, it was much too tight. 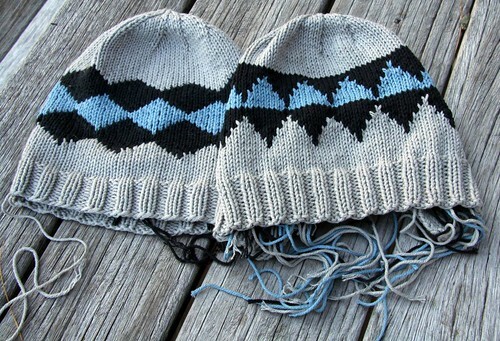 It also seemed too long, so I made mental notes on modifications and resigned myself to knitting a second hat. 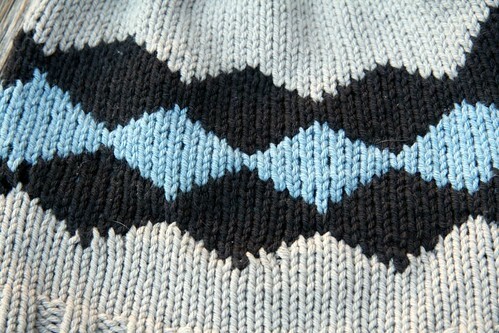 At his suggestion, I changed the pattern a bit, though I prefer the first. 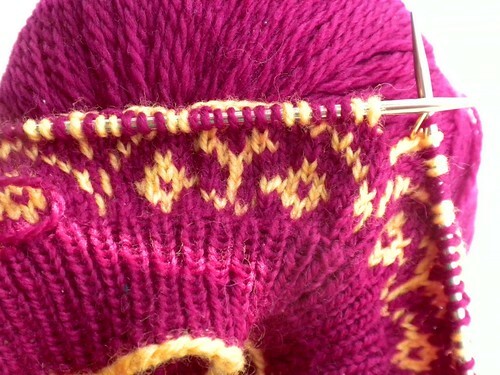 I moved up a needle size and knit it flat so that I could do proper intarsia, thinking it would all stretch uniformly. 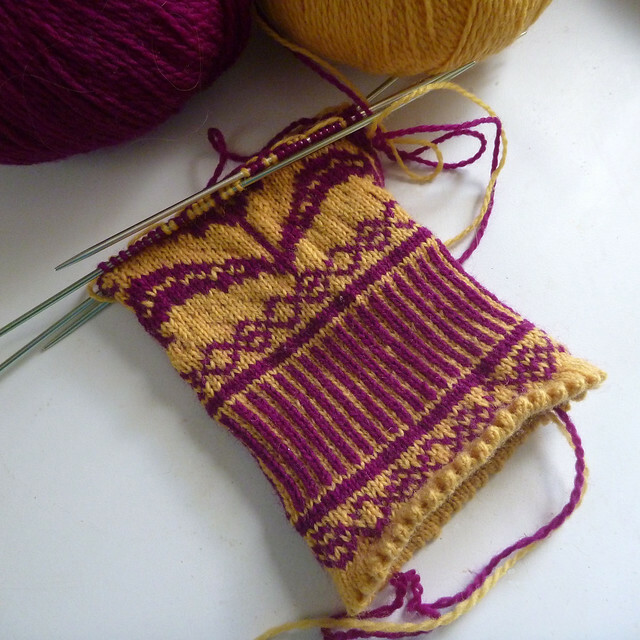 I resisted casting on extra stitches, as this pattern was supposed to fit a man’s head and I was sure it was just the stranded bits making it too tight. I am still hopeful that once it’s seamed, it can stretch more than it did in that cursory fitting, but I worry that it’s still going to be too small. I don’t think I have enough gray yarn left and because I cut so many pieces for the intarsia bits, I don’t think I can reuse hat #2’s yarn. 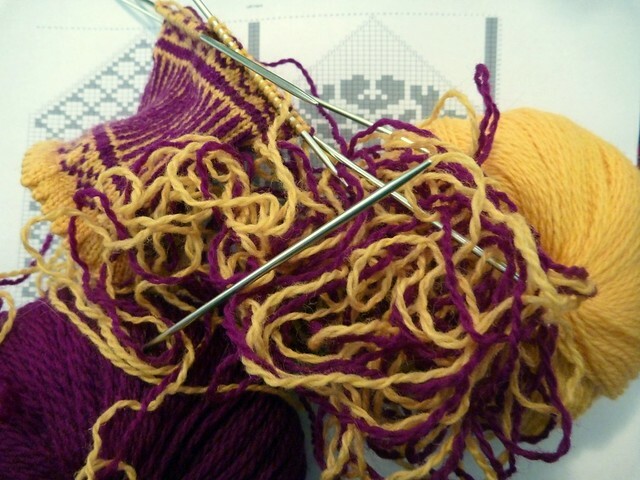 Technique-wise, I have no idea what I would do differently besides casting on more stitches. 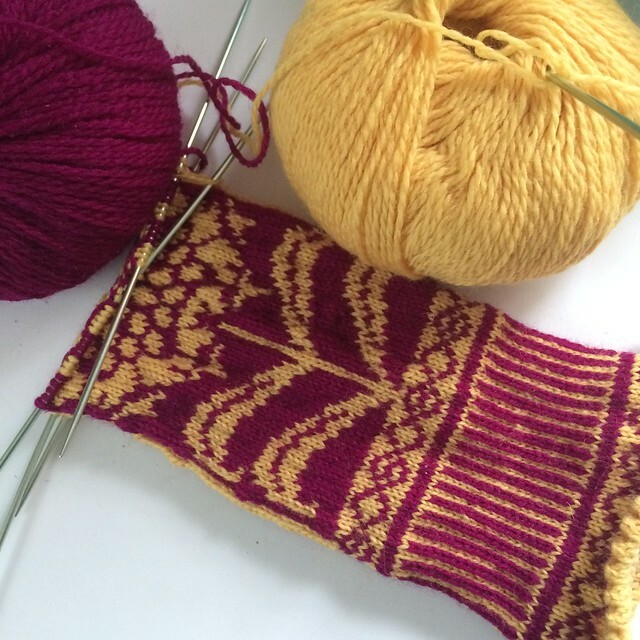 I preferred stranding to intarsia, but I didn’t exactly love either one. Sigh. Good thing hats go quickly, right?